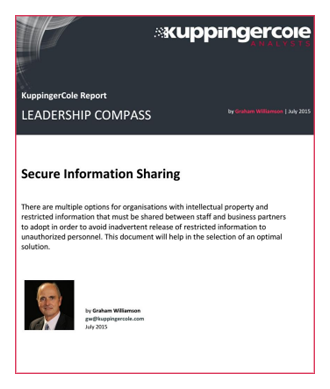 The KuppingerCole Leadership Compass is available in PDF format and protected with Prot-On. In order to access it, you need to have a Prot-On free account. If you do not have it yet, please register here. If you already have a Prot-On account, just click on “Access Report” you can choose to read it online or download it and open it with your Prot-On Client App in your PC or mobile.